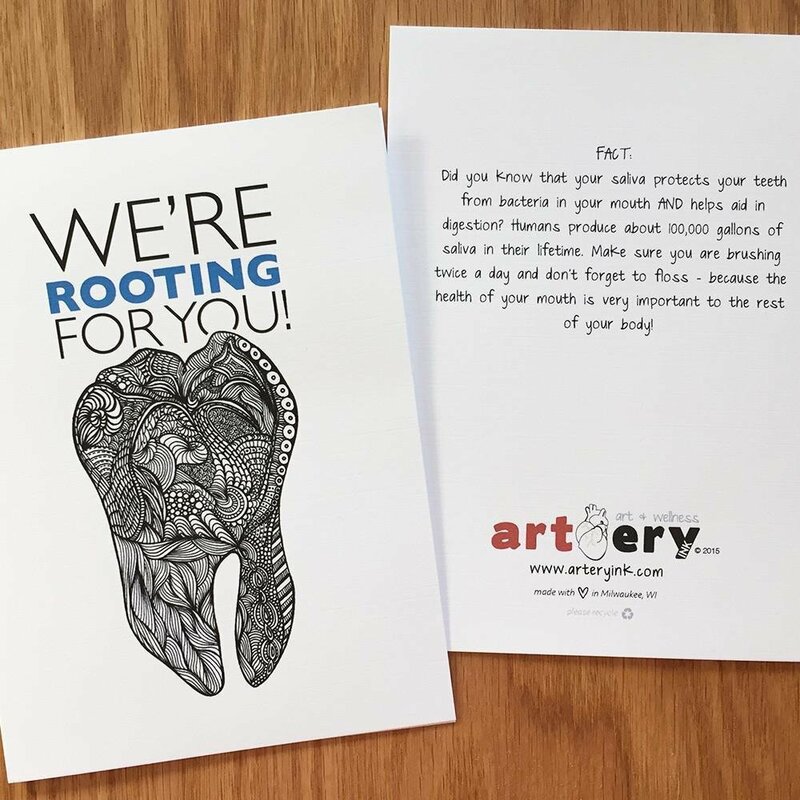 FRONT: We're ROOTING for you! BACK: FACT: Did you know that your saliva protects your teeth from bacteria in your mouth AND helps aid in digestion? Humans produce about 100,000 gallons of saliva in their lifetime. Make sure you are brushing twice a day and don't forget to floss - because the health of your mouth is very important to the rest of your body!